BVES does not have principal shareholders because it is a demutualized institution governed under the Securities Market Act. No shareholder is allowed to own more than 0.5% of total shares of stock, which shall have identical face value and belong to the same series. There will be no preference shares. 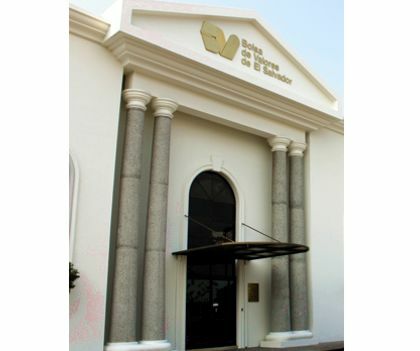 On April 27, 1992, Bolsa de Valores de El Salvador became operative, thus giving rise to the so-called national securities market. 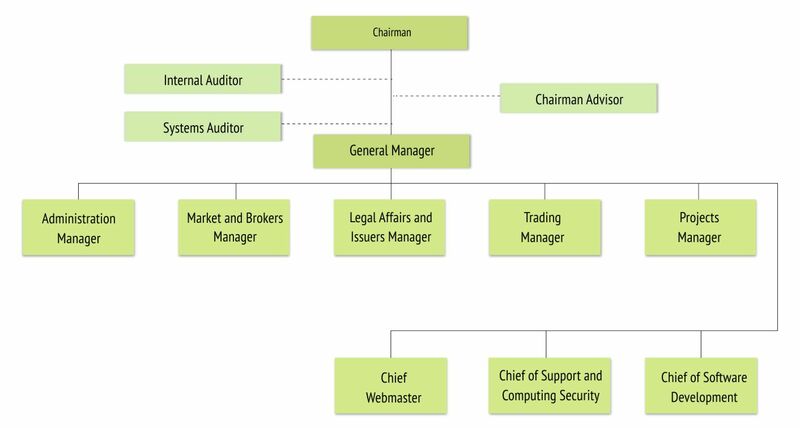 Ever since its inception, BVES has grown and evolved with a focus on implementing innovative technology, exercising internal control, developing trade processing, establishing rules of conduct and ethics, and executing regulatory procedures enabling to maintain the highest efficiency and safety standards. Likewise, the Exchange has been at the innovation forefront regarding financial instruments and services in order to encourage securities market development. The securities market was organized within a regulatory and supervisory framework established under the Securities Market Act, and controlled by the Financial System Superintendence, which ensures market transparency and safety for investors and issuers alike. Another major step forward has been the enactment of several laws, such as the Book-Entry Issues Act, which facilitated securities trading, custody and management, and also provided enhanced market efficiency, safety, and transparency. This positive evolution in law amendments, together with a comprehensive law reform conducted in 2001, has led to opening doors to the global securities market, thereby enabling local trading of foreign securities. BVES has also made great progress in the technology field. As from November 2007, 100% of all market trades have been executed through electronic systems, after launching the electronic trading system for repo transactions. The Bolsa de Valores de El Salvador has constantly been at the technology forefront. In 2011, the Exchange developed a new Electronic Trading System that integrates the three markets on which BVES trades into a single platform. As regards product innovation, in 2001 the Exchange began to list foreign securities, thus creating a financial supermarket tailored to the needs of any customer profile. From the funding perspective, the Exchange has evolved by offering companies flexible and versatile products that are customized to meet diverse financing needs. In 2010, the first securitized products set a landmark in BVES history, and opened doors to a new financing mechanism for a great number of projects from both the private and public sectors in El Salvador. Once transactions are finally executed within the BVES Trading Systems, they are automatically transferred to the support systems managed by the Stock Exchange and the Central Securities Depository. Funds settlement is performed through the Electronic Trade Settlement System (SELIB), a service that is provided by the Exchange to all Brokerage Firms. This system enables member firms to disclose information to the Exchange on the banks where their customers shall receive or make the relevant payments. 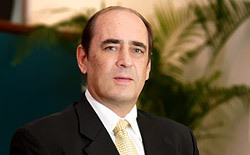 For purposes of executing trade settlement, two customer types are identified as follows: (i) clients having an account with [central bank] Banco Central de Reserva (including every Bank within the system), and (ii) clients who do not have an account with the BCR (individuals and entities that are also called private customers). In order to provide better customer service, it is recommended that Brokerage Firms keep accounts with all Banks within the system. Securities settlement is performed by the Central Securities Depository under a gross settlement scheme. Once [CSD] CEDEVAL receives information on the various stock-exchange transactions, it verifies that each account with a selling position has sufficient provision of securities in order to settle the trade without any inconvenience. Once the CSD verifies and confirms with the Exchange that there is provision of securities and availability of funds, securities are transferred under a Delivery versus Payment (DvP) scheme managed by both institutions. Custody is performed by Central Securities Depository (CEDEVAL). AMERCA - Integration Agreement between Bolsas de Costa Rica, El Salvador, and Panama. CEDEVAL - Information Sharing Agreement. Dataguard – Information Backup Agreement. Remote Operating System Agreement between Stock Exchanges and Depositaries of El Salvador and Panama.